Details about all Fond du Lac Public Library events are found at fdlpl.org, click “calendar.” All programs are free. Most do not require registration. Children under age 8 must have an adult with them at all times. Black History Month Activities, through February at the Fond du Lac Public Library, 32 Sheboygan St. Just drop in at the Children’s Room for fun activities that honor and celebrate accomplishments by African Americans. Free. No registration. Half-Day Party, 1-3:30 p.m. Friday, February 1, at the Fond du Lac Public Library, 32 Sheboygan St. Half day at school? Hang out with us. Play bingo and watch the 1964 classic “Mary Poppins” (G). For kids grades K-8 and their families. With snacks. Free. No registration. Celebrating Black History Month, 10-11 a.m. Saturday, February 2, at the Fond du Lac Public Library, 52 Sheboygan St. Kick off Black History Month with a Scholastic kid-friendly movie, then come to the Children’s Room for a scavenger hunt featuring famous black Americans. Free. No registration. Toddler Storytimes, 9:30 a.m. Tuesdays, Wednesdays and Thursdays at the Fond du Lac Public Library, 32 Sheboygan St. For ages 2 and younger. 20 minutes of stories followed by 20 minutes of play. Preschool Storytimes, 10:30 a.m. Tuesdays and Wednesdays at the Fond du Lac Public Library, 32 Sheboygan St. For ages 3-5. 30 minutes of fun books, songs and more. Evening Storytimes, 5:30 p.m. Tuesdays at the Fond du Lac Public Library, 32 Sheboygan St. For all ages. A 30-minute romp with songs, engaging books and more. 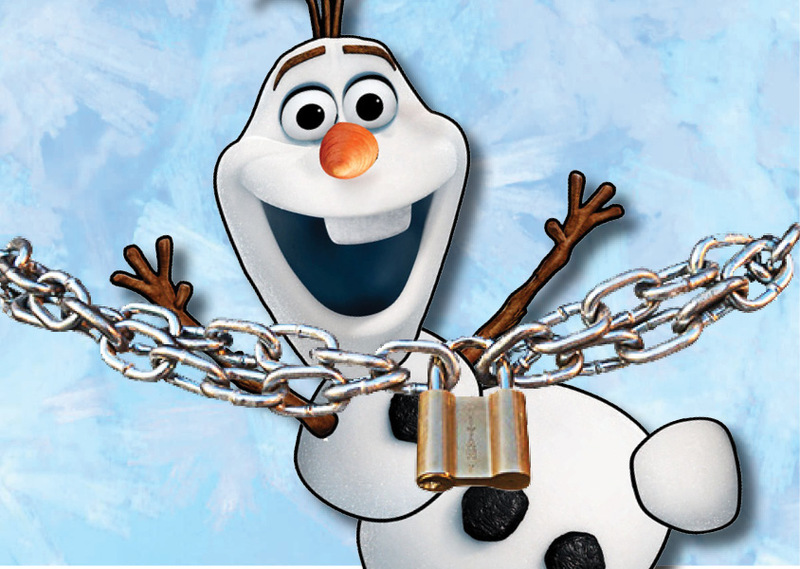 “Frozen” Escape Room, 9 a.m.-4 p.m. Saturday, February 9, at the Fond du Lac Public Library, 32 Sheboygan St. A family-friendly (not scary) 30-minute escape room challenge decorated with all things “Frozen.” Free. Registration begins at 9 a.m. Monday, January 28, by phone at (920) 322-3940; at fdlpl.org, click Calendar; or in person at the Children’s Desk. Giant Candy Land, 9 a.m.-6 p.m. Friday, February 15, and 9 a.m.-4 p.m. Saturday, February 16, at the Fond du Lac Public Library, 32 Sheboygan St. Visit our magical Giant Candy Land. Perfect for the whole family. Drop in any time during open hours. Free. No registration. Day cares and classrooms: Call (920) 322-3940 to book a special, 45-minute session on Monday, February 18. Teens-only Giant Candy Land, 1-3 p.m. Sunday, February 17, at the Fond du Lac Public Library, 32 Sheboygan St. For teens in grades 6-12. Grab a group of friends and drop in to play our candy-filled fest. Free. No registration. Registration opens Monday, February 18: Science Together, 6-7 p.m. Thursday, February 28, at the Fond du Lac Public Library, 32 Sheboygan St. For kids ages 6-10 with a parent or guardian. Make play dough and use it to create – then explode – a volcano. One slot per family. Registration begins at 9 a.m. Monday, February 18, by phone at (920) 322-3940; at fdlpl.org, click Calendar; or in person at the Children’s Desk. Intro to Dungeons & Dragons, 10 a.m.-noon Saturday, February 23, at Fond du Lac Public Library, 32 Sheboygan St. For all ages. Get an overview and introduction to the role-playing game Dungeons & Dragons by Dungeon Master Paul Krikau. Free. No registration. Kids Create, 6-7:30 p.m. Monday, February 25, at Fond du Lac Public Library, 32 Sheboygan St.
For kids and families. Screen-free fun in 2019: drop in to create different crafts and activities once a month. February: Random Acts of Kindness crafts. Free. No registration. National African American Read-in, 5-7 p.m. Tuesday, February 26, at the Fond du Lac Public Library, 32 Sheboygan St. For all ages. Visit stations throughout the library loaded with African American-authored books. Browse, read and enjoy. At 6 p.m., stop in the McLane Meeting Room for conversation and ice cream sundaes. Free. No registration.